I know Christmas is still months away, but this gift idea can't wait. Especially since I read this article that urges anyone ages 6 months and over to get inoculated. Except those with severe allergies to eggs, as that is what they are using (well, chick embryos, really) to grow the viruses for these shots. New this year is an all-in-one vaccine that protects against the swine flu, as well as a couple of other flu strains. Also new this year is a stronger version of the vaccine for seniors, which contains four times the standard dose for those 65 years and over. Yeah, let's give grandpa a gift that will kill him even faster! He might not get the flu, but he dead sure will get cancer. Why would he want to do so? Because, he says, we must cut worldwide carbon emissions to zero. As in, stop breathing. It can be accomplished by lowering the population to near zero, as he explains. Near zero, because he wants to be one of the few left standing. Of course, he's already a complete zero of a human being. 1. In a large bowl, mix eggs, water, and salt thoroughly. 2. Gradually add flour, adding extra water if necessary to achieve a dough that is thick and gooey but not stiff, and not too thick to pass through the spaetzle maker, or so runny that it flows through it without needing to be "grated". Basically, a little thicker than pancake batter. I have had to add as much as double the amount of water. 3. Bring water to a rolling boil in a large pot. Add dough to spaetzle maker and "grate" into boiling water in batches. Boil each batch for a couple of minutes, until spaetzle have risen to the top and slightly grown in size. Do not overcook, or your spaetzle will be mushy (test one for doneness, if necessary). 4. Scoop spaetzle out with a colander and allow to further drain in a colander set over a bowl while making the next batch. 5. When all spaetzle are done cooking, add butter and salt to taste. Serve as a side dish, or fried up in a pan with more butter (add onion, sausage, and/or sauerkraut if you like), or bake in a casserole dish covered in cheese until golden and bubbly. - Do not leave the spaetzle maker sitting on top of the pot while you are waiting for your batch of spaetzels to boil. The rising steam will cook the dough left on the spaetzle maker and gunk it up, making it harder and harder to work the next batch. - If you do not have a spaetzle maker, and want to see if you like homemade spaetzle before investing in one, you can try this: Place/hold a large, flat cheese grater (NOT the boxy kind) horizontally over the boiling water. Put about a half cup of dough on the top side of the grater. Using a metal spoon, scrape the dough back and forth across the grater until all the dough has been "grated" into the water. This is much more tedious and time-consuming than using the spaetzle maker, but it certainly works. - Soak or rinse any dishes that have dough on them immediately in warm water. The dough hardens as it dries, and is about as easy as concrete to get off once that happens. Whether or not you plan on homeschooling your children, you should make it your priority as the parent to teach them how to read. It is the single biggest factor in determining their future academic success, which indirectly also contributes to whether or not they will love school/learning. Do not rely on a school or a teacher to deal with this "hassle", as many children simply do not fit the one-size-fits-all approach offered in a classroom full of kids. As I am embarking on teaching our fourth child to read, I thought I should share some things I have learned along the way. I am a firm believer in the phonetic approach to reading. All of our kids have had very different learning styles so far, and some took longer to catch on than others, but I think it is imperative to take the time and effort to teach our children how to actually read, rather than just memorizing the meaning of a certain arrangement of letters. Most public schools teach the "see and say" method, with some phonics thrown in here and there. The smart kids will pick up on it, while the slower ones will struggle with reading their whole lives. The problem with English is that it is NOT a phonetic language. In Hungarian, for instance, everything is spelled 100% the way it is pronounced. Using the same 26 letters that we have in our alphabet, plus a few diphthongs and accent marks, they have a total of 42 sounds that make up every single word. One could read Hungarian perfectly just by knowing those sounds, without understanding or even knowing a single word in Hungarian. English is not like that. The letter "a" alone can make a half dozen different sounds, while not being spelled any differently or having any accent marks. "ow" could say "owl" or "bowl". The words "read" and "read" have different meanings depending on how they are pronounced. Then there's "red" and "read"... you get the idea. Nevertheless, a solid phonics foundation will help decipher most words, and the rest usually have uniform exceptions. That's "a" as in "apple", "e" as in "elephant", "i" as in "Indian", "o" as in "ostrich", and "u" as in umbrella. I make a point not to tell the kids that vowels can make many other sounds, because I want to solidify certain basic concepts before moving on to all the exceptions. About 80% of words follow the strict one vowel/two vowel rules. But I do teach them the name of the letters: "A [ay] says a as in apple", etc. Again, stay with one sound per letter. For "c", it is enough to teach the [k] sound in "camel", not the [s] in "ceiling". Once your child knows the five vowels, start combining these with consonants he has learned, applying the one-vowel rule: If a word only has one vowel, that vowel usually says its short sound. For example, "ba, be, bi, bo, bu". This is the first step where kids have to blend two letters together, which is actually a major milestone in reading. Some kids will struggle for months trying to say two letters without leaving an unnatural gap in between, ("buh-a" instead of "ba"), while others will pick it up the first time. Be consistent in not allowing your child to add "uh" to the consonants, as this will only delay their blending. "b" says "b", not "buh". There is no rush, just make sure to work with your child consistently and in small increments. If they or you are getting frustrated, it is high time to put the book down and try again another time. 4. Teach consonant-vowel-consonant (CVC) words with short vowels. Once children have mastered the blends in step 3, all they need to learn is to add one more consonant at the end of a familiar blend, such as "ta-g". This is usually a pretty easy step. When your child is very comfortable reading CVC words, it is time to teach them the long sounds of the vowels. If you have been teaching your child the names of the letters as well as their sounds, this is a quick step because the long vowel sounds are also the names of those vowels: "a" as in "acorn", "e" as in "eagle", "i" as in "ice-cream", "o" as in "overalls", and "u" as in "unicycle" or "u" as in "rule". Then explain the two-vowel rule: "When there are two vowels in a word, the first one is usually long and the second one silent", or our kids' favorite: "When two vowels go walking, the first one does the talking; the second one is silent - shhh!" When the child has mastered the long sounds, practice reading words with two vowels, like "bake", "bee", "read", "Mike", "road", and "mule". Then practice how the difference between a short vowel and a long vowel can alter the meaning of the word, such as "rip-ripe", "Jan - Jane", etc. Next, rather just reading words that start or end with just one consonant, use consonant blends: "Blake", "flag", "camp", etc. There are a few words that, even with a phonetic approach, will still have to be memorized as sight words because they follow no obvious pattern whatsoever. Common first sight words include "the", "a", "I", "you", "to", "do", "from", "one". You can make an endless number of phrases and sentences by combining these sight words with the simple one and two vowel words above, for example: "Blake fed the five pigs." Time-wise, this last step will likely take up as much time as steps 1-7 above. Depending on which reading program you are using, there are likely a hundred or so of these listed. They start with simple diphthongs like "sh" in "ship", "th" in "that", "th" in "think", "wh" in "what", "ch" in church, etc. One common exception is that "s" sometimes sounds like "z" at the end of words, i.e. in "kids". Another common exception is that short words that only have one vowel at the end of the word usually say the long vowel sound, such as "we", "go", "be", etc. Then there is a long, long list of special letter combinations, such as "ow" in "owl" or "bowl", "oo" in "moon" or "book", "ay" as in "pray" (y acting as a second silent vowel, rather than a consonant), etc. At this point, it would definitely be best to use a successful, phonics-based reading program to make sure you cover all your bases. During this final step, your child's reading will at some point take off to the extent that you no longer need to teach them these special rules and exceptions - they will simply figure them out and internalize them as they decipher more and more words on their own. Again, each child will have his/her individual learning style, and may do so sooner or later than another child from the same family. Our two oldest (8 and 7 years old) both read at an adult level. This is a tremendous help and blessing, as I can simply assign them their daily school work, and they can work it independently. They also each read for a couple of hours every afternoon while I do chores or nap, and it is mind-boggling how much information and facts they take in during that time. John is on step 8 above , and probably won't be done learning all the special phonics sounds until he finishes up first grade next summer. Miriam is just starting on steps 1 and 2. A Beka "Handbook for Reading" A Beka also offers a plethora of related phonics items, which add up to several hundred dollars' worth. While nice to have for those who are independently wealthy, the "Handbook for Reading" is the only thing needed to teach your child all steps listed here. The teacher edition gives lots of tips and pointers for those new to teaching reading. LFBC's "Beginner's Champion Phonics Reader" Same approach, not as colorful as A Beka. Good for students who are distracted by colorful pages with lots and lots of interesting pictures, or those who prefer a less "childish" approach. Nothing fancy or expensive, and nothing that will require an addition to your house to store year after year. Patience and perseverance are the two main keys to teaching your child to read, and neither can be bought with money or ordered from a publisher online. ... you get up early to beat the heat, and realize the temperature is in the triple digits by 7 am. ... the soles of your shoes melt to the asphalt if you stand in one place for too long. ... you turn on only the cold water tap to take a shower, and the water is much too hot for comfort. ... pregnant moms have to check the water temperature in the pool to make sure it's safe for their unborn child. ... the A/C runs all day and night, and the house still feels like an oven. ... you never have to make beds, because nobody even dreams about getting under the covers for months. ... it feels like a giant blow-dryer gets turned on every time someone opens the front door even slightly. ... every person in the family is consuming a gallon of water per day. ... you are going crazy from being cooped up indoors, with all blinds and curtains drawn, for months on end. ... your groceries spoil in the time it takes you to walk from the exit of the store to packing them on ice in your vehicle. Certainly, most everyone has heard of the massive egg recall this past week. 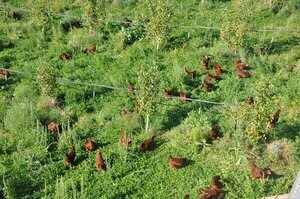 550 million eggs - that's 550,000,000 - or close to an average of 5 eggs per household in the US. Did you check the eggs in your fridge when you heard the news? I for one didn't, because we get all our eggs from an organic farm that lets its chickens roam freely out in a pasture. The eggs are the best I have ever tasted - the yolks are huge, round, and dark yellow/orange. They are so tasty that people have asked if I added cheese to my scrambled eggs when they were, in fact, just plain eggs. Don't these ladies look happy? So I didn't really pay any attention to the whole egg recall. I mean, these days, factory-produced food is being recalled all the time, and it's hard to even keep up with. Then this weekend, I must have been bored or something, I clicked on this article. My interest suddenly peaked when I came across a familiar name, "Jack" DeCoster. I had heard mention of him many times before, and it was only ever positive. 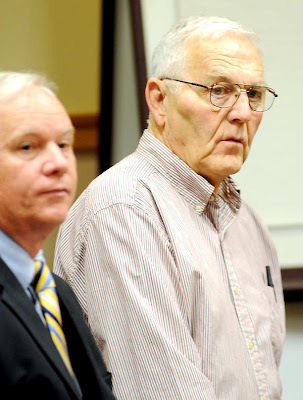 Austin "Jack" DeCoster, right, sits with Timothy O'Brien, a lawyer representing Maine Contract Farming, LLC, in 10 counts of animal cruelty stemming from an undercover investigation in 2009 by Mercy For Animals at the Turner egg farm. Maine Contract Farming, LLC, has agreed to pay $134,674.11 in fines, restitutions, and aid to inspectors after pleading guilty to the charges. First Baptist Church of Hammond, Indiana and their college, Hyles-Anderson College, had lifted him up countless times as the example of a hardworking, Christian businessman who uses his hard-earned business empire to financially aid and further the cause of Christ, namely by donating large sums of money to their ministries. In fact, the "modern 1,500 seat DeCoster Dining Hall facility" at the college is named in honor of this generous donor. Imagine my surprise when I read these news. The more I looked into it, the more apparent it became that Mr. DeCoster uses anything but integrity in his business operations. Such behavior would be unbecoming of unbelievers, even downright criminal - how much more of someone who is revered as a Christian with a burden for supporting local churches? In 1977 neighbors whose homes were infested with insects filed a $5 million lawsuit, claiming nose plugs and flyswatters should be the "new neighbor" kit. In 1980, the DeCoster operation was charged with employing five 11-year-olds and a 9-year-old by the Labor department. 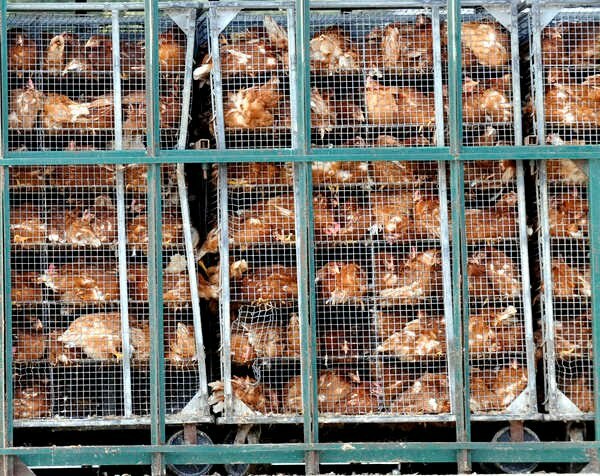 In 1988, 100,000 chickens burned to death in a fire and were left to decompose. In 1992, DeCoster was charged by the state, with indenturing migrant workers, denying them contact with teachers, social workers, doctors, lawyers and labor organizers. Prior to 1993: Even before he built his first large-scale Iowa pig farming operation, Austin J. “Jack” DeCoster had already drawn the serious attention of environmental and labor law enforcement authorities. The Maine Department of Environmental Protection had brought a 14-count action against him for activities that were polluting both air and water. 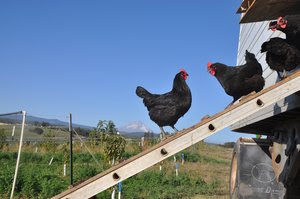 The federal Occupational Safety and Health Administration (OSHA) had investigated DeCoster in connection with farm workers’ reports that they had been exposed to lethal asbestos in DeCoster chicken houses. There had also been a federal suit brought against DeCoster under the Migrant Agricultural Workers Protection Act, based on workers’ reports of unfit housing, and of illegal threats and harassment ongoing at DeCoster plants. In 1996, federal investigators found DeCoster workers living in rat and cockroach infested housing and the egg operation was fined $3.6 million. At these facilities, federal investigators found that workers had been forced to handle manure and dead chickens with unprotected, bare hands, and that the trailers serving as worker housing were filthy and infested. Then-Labor Secretary Robert Reich described the conditions at the Maine DeCoster egg operations as “among the worst” found in the U.S. "The conditions in this migrant farm site are as dangerous and oppressive as any sweatshop we have seen,'' said Labor Secretary Robert Reich; "I thought I was going to faint and I was only there a few minutes,'' said Cesar Britos, an attorney representing DeCoster workers, after entering a barn." June, 2000: DeCoster was named Iowa’s first “habitual violator” of state environmental laws, after losing a succession of enforcement cases brought against him by the Iowa Attorney General. At the time, DeCoster Farms’ pig-feeding business confined hundreds of thousands of pigs, and was generating more manure than it could contain in its underground pits. When the company simply spread its excess manure across open land, and transported huge volumes of it along open county roads, manure flowed into public waterways, causing hazardous pollution. The Iowa Department of Natural Resources ordered DeCoster immediately to construct concrete manure-storage structures, and assessed him a $150,000 civil penalty. 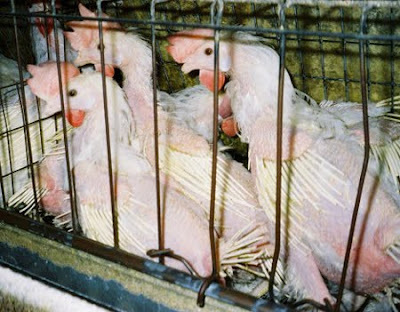 DeCoster’s “habitual violator” status raised applicable penalties for noncompliance from $5,000 to $25,000 per day, and barred DeCoster from constructing any new confinement feeding operations. 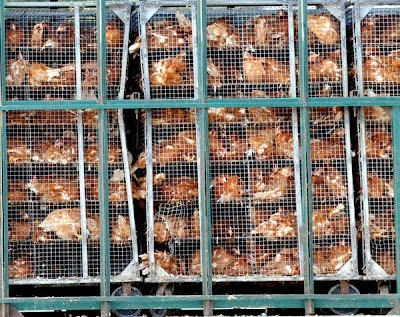 In 2001, dead hens intermingled with live ones during truck transport sparked a complaint to the Department of Agriculture. July, 2002: DeCoster Egg Farms of Maine agreed to pay $3.2 million to settle a discrimination lawsuit brought against it by Mexican workers who suffered deplorable working conditions while working at the Farms. The workers asserted that DeCoster Egg Farms had exploited their vulnerable immigration status in order to avoid obligations to comply with labor laws. The plight of the workers was so substantial that the Mexican government joined in the case, and made the case a cause celebre. 2001 – 2003: In 2001, the Iowa Coalition Against Domestic Violence (ICADV) filed a federal Equal Employment Opportunity Commission (EEOC) complaint against DeCoster Farms in Wright County, Iowa, on behalf of female workers who reported that they had been sexually assaulted and raped by supervisors at DeCoster Farms. EEOC reviewed the complaint, and sought an injunction against DeCoster. This resulted in an order requiring DeCoster Farms to enforce federal anti-harassment and non-retaliation policies at its facility, and to cooperate with EEOC’s ongoing investigation into the facts underlying the workers’ complaint. EEOC ultimately ruled for the workers, but DeCoster would not cooperate towards a settlement payment. 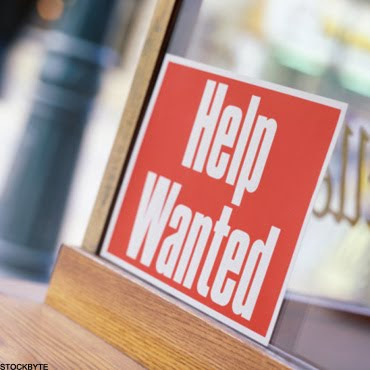 EEOC therefore commenced a formal proceeding against DeCoster, which ended in 2003, when DeCoster agreed to pay $1.3 million in damages to 11 workers, $100,000 to ICADV, and $125,000 to any additional victims who might be identified within a year of the settlement decree. August, 2003: A. J. DeCoster pleaded guilty to federal charges that he had knowingly and repeatedly hired illegal immigrants at his Northern Iowa egg plants. The charges resembled others that DeCoster had faced and settled in 1989, for his illegal hiring practices at Maine-based egg operations. Under the terms of the Iowa plea agreement, DeCoster paid the federal government $1.25 million, and another $875,000 in restitution, to cover some of the government’s enforcement and monitoring costs at his plants. DeCoster was also required to pay for unannounced facility and record inspections at his plants, for five years following the date of his plea. June, 2006: During the third immigration raid of DeCoster egg operations in Iowa since 2001, law enforcement officials confirmed that DeCoster was still engaging in illegal hiring practices at his six Iowa egg facilities. Thirty-six workers were detained in the course of this enforcement operation. 8• May, 2007: Former DeCoster manager Cacy Cantwell was granted a hearing before the Maine Human Rights Commission on his complaint that DeCoster had fired him and stripped him of company housing on the sole grounds that Cantwell is an atheist. A Commission investigator who reviewed the evidence found a reasonable basis for Cantwell’s assertion of religious discrimination. Cantwell supplemented his Human Rights Commission complaint with a separate filing against DeCoster at the U.S. Department of Housing and Urban Development. September, 2007: Federal immigration investigators raided the same six DeCoster egg farms in Iowa that had been raided by officials in June, 2006. Children were among the 51 illegally hired workers found on the premises, this time. 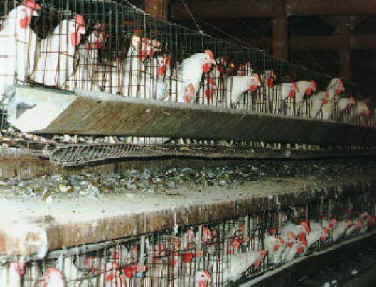 August, 2008: OSHA cited DeCoster surrogate Maine Contract Farming for willful violations of worker safety laws, based on findings that during the prior Winter, the company had forced workers to salvage eggs from inside a dangerously unstable structure that had collapsed from the weight of ice and snow. OSHA called this company misconduct “astonishing” and “unacceptable.” For actions that exposed workers in other buildings to additional collapse hazards, and which allowed workers to operate powered industrial trucks in a way that exposed them to the risk of crush injuries, OSHA issued the egg operation two additional citations for hazards that OSHA classified as likely to result in death or serious injury to workers. Workers' drinking water has been found contaminated with feces by OSHA and after a conciliatory "free" chicken banquet offered to workers, they were docked for their time eating it, reported the Portland Press Herald. This laundry list of violations is a testament to the uselessness of the government agencies involved. Sure, they fined DeCoster's operations, but they don't seem to have succeeded at making him change the way he conducts business, or else withdraw his business license(es). I guess as long as he kept paying them high fines, they didn't mind letting him carry on (and on and on, and expand into hog farming, as well as into other states). Now, I am not an animal rights activist by any stretch of the imagination. I mean, I would never even think of treating our dog this way, and believe me, we have no intention of eating her, nor will I particularly care when she eventually dies - at which point we will simply replace her. Animals are not human beings. I neither worship animals, nor the environment. But I DO greatly respect and care about human lives. The reason why I care about the housing and treatment of these animals is because it affects their health, which in turn affects the health of those who eat the products they provide us with (in this case, eggs), as well as the health of those employees taking care of them. Don't let the sickly look of these chickens fool you - they lay high quality eggs, in spite of their obviously disastrous health! The food industry in the United States must be one of the most corrupt industries in our country, second-worst probably only to the pharmaceutical industry (and the two are much more connected than one might suspect). Among these crooks, this "Christian businessman" stands out as particularly ruthless and corrupt. Did you know that people can and do die from salmonella poisoning? Did you know that during pregnancy, it can lead to miscarriage or stillbirth? Did you know that even in the best case scenario of "just" getting diarrhea, nausea, etc. this leads to lost work, a miserable 24-48 hours of sickness, and a completely unnecessary hassle all around? And why? Because of someone's greed for more money in less time. How do people go to sleep in their fancy houses, drive around in their fancy cars, and live a luxurious life knowing that it is financed by the health and lives of those to whom they sell their dishonest products, and the health and lives of those whom they employ? And then for phony pastors to lift these people up as examples of Christianity, for no other reason than that they want to keep the donations coming! As if God depends on dishonest crooks to finance furthering the gospel. Hyles-Anderson college pays most of its employees ridiculously low wages that are far below minimum wage, but offers them perks such as free tuition at their Christian schools for the employees' kids, and free meals in the "DeCoster Dining Hall", where I'm guessing they get their namesake's eggs for free or at a great discount. Wow, ruining your family and your health are thrown in for free when you work for the college!! I guess birds of a feather flock together. For those of you who may not know about it yet, I highly recommend the many wonderful resources found on Donna Young's website. Donnayoung.org offers free homeschool planners, homeschool planning tips, school calendars, household planners, and printables in various subjects. This was pretty easy and quick, and the kids loved it. You can find the directions here. I am terrible at balling melons, so my race car was not very full because I had a lot of "waste" (which the kids ate while watching me work). On second thought, I should have added some more fruit, such as grapes or pineapple chunks. One tip if you are going to make this: wait until your kitchen floors already need mopping, as they will definitely need cleaning when you get done with this messy, sticky project (and all the melon that will inevitably get dropped everywhere if you have kids eating). Thursday of last week, my husband got up at 4 am to head down to Yuma for his jury trial, where he was scheduled to appear at 8 am. Being the super wife that I am, I got up with him, fixed him pancakes and bacon, ironed his shirt, shined his shoes, and kissed him good-bye. Or maybe I just hit "off" on the alarm real fast, rolled back over, and instantly went back to sleep after asking him to please be very quiet as to not wake up anyone else in the house. You pick which scenario you like better... :) Life changes a little when you have been married 10 years and are expecting the 6th child in that time. The kids and I spent the morning finishing cleaning out the last closet in the house, as well as the master bedroom, after having made our way around all rooms in the last couple of weeks. My space in the closet is somewhat limited, and does not accommodate my regular as well as my maternity clothes at the same time. I finally moved all my normal clothes out, and all my maternity clothes in. While at it, we also hung/folded all the clean laundry in the house. It's a never-ending job! Nap/Quiet time was spent taking care of phone calls and online business transactions. After the girls woke up, we did several science experiments that all had to do with weight and gravity. For dinner, I decided to take the easy way out and took the whole crew to get a large pizza at Whole Foods. While there, we picked up a couple of groceries we needed, too. By the time we got home, it was 7 pm and time for the kids to all get in their PJs, as I was determined to get them all in bed on time (they had stayed up past 10 pm on Wednesday, a church night). We did story time and they all headed to bed around 8:30. Since I did not have a dinner mess to clean up, and since we had put away every last bit of laundry in the morning, this gave me a nice quiet evening to relax by myself and work on a couple of blog posts. Friday was our 10 year wedding anniversary, although my husband was still down in Yuma for his second day of court. He was found "not guilty", but not before 5 pm, which meant he was gone the whole day. The kids and I were supposed to spend the day cleaning the house (as opposed to organizing/decluttering), and doing some final organizing in our school room, as well as getting the guest room ready. We were expecting company the following Tuesday, and since we were planning on celebrating our anniversary on Saturday, were going to be in church most of Sunday, and Mondays are always already busy trying to get caught up from the weekend, I knew Friday was my last chance to get my house cleaned and hopefully maintain it that way (hahahaha). Instead, I threw reason to the wind and took the crew downtown to the science center for a fun and easy day. Ah, procrastination... I figured since the house was already tidy, it wouldn't take too much to also get it clean in just one day on Monday. This contraption simulates a free-fall. It looks a bit like something found in a torture chamber. Miriam had brought her baby doll along, and was thrilled to find this play shopping cart that had a seat to put her baby in while she went shopping. My husband got back from Yuma late in the evening bearing flowers and ice-cream. He was slightly confused by the fact that pregnancy cravings got the best of me - I turned down the Ben & Jerry's chunky monkey ice-cream, and instead made myself onions and cabbage fried in a little butter with lots of salt. Yum!! :) I had the leftovers for breakfast the next morning, after which Miriam informed me that I "smelled like bad soup that tasted yucky". Saturday was the day we "observed" our 10-year wedding anniversary. I had wanted to do something outdoors. Only problem was, the nearest places with temperatures in the bearable range are 2+ hours away. Since we had a lazy morning getting up and ready, it was really too late to go somewhere that far away for the few hours we would have had there. Plus, my husband really did not want to drive anywhere far, since he had just been to Yuma (3 hours each way). Instead, we had lunch at a really good Bavarian/German restaurant in Mesa. After that, we stopped at a favorite thrift store of mine that I rarely go to because it's a half hour drive from our house. My husband entertained the kids while I shopped for an hour. In the end, I bought 30 books (for the kids), a maternity dress and maternity shirt for myself (both like new), a "My Brest Friend" nursing pillow, and a very cute gardening apron for a wonderful friend of mine who had mentioned she needed one. American Grub: This will go perfectly with this year's curriculum: Cantering the Country. We are supposed to cook a dish from each of the states we cover every week. Everything Kids' Travel Activity Book: We spend a lot of time in the car going places, and love books like this one. I gave away our last similar book to a family who had a 7 hour road trip with few to no stops ahead of them with four little kids in the car. This is a wonderful replacement. Plus, the book has interesting information on all 50 states, which again will tie in nicely with our curriculum. American Girls Paper Dolls: new and in great condition - Miriam and Becky cannot wait to cut these out with me and play with them. Very good quality and sturdy paper dolls, which is hard to find. I love the style of clothing in this book, too! World History by BJU Press: We have several of the BJU Press history books, and although I do take issue with many things that BJU stands for, it is still nice to be able to find a history book that has a Christian perspective and starts out with creation, rather than "billions of years ago" and cavemen. Each of the kids has their own favorite books from the above selection. I never go to the thrift store without buying a stack of books. It always makes for a very quiet rest of the day as the kids sit and read for hours without so much as stirring. With all the sales that day (6 of the books were free, and the cashier picked the most expensive ones to take off the total, rather than the cheapest), and the fact that she also used a $3 off coupon that I did not give her (she was just being nice), the total came out to $34.01. That's an average of $1 for each of the above items! I LOVE getting good deals shopping. It is so much fun - like treasure hunting!! Even though we could probably afford to buy our stuff new, I so much prefer to shop at thrift stores. It's frugal, it's fun, and the selection is endless! The maternity section had literally dozens and scores of clothes that I liked, whereas a department store usually only has a couple that I would consider (because they carry everything in multiples in each size, taking up all their store space). The only reason why I did not buy more clothes was because I already have so many. Plus, it saves time. I would have had to go to three "regular" stores to buy the same items, or to a mall, which I hate. I was also very excited about finding that particular nursing pillow. I almost bought it at BabiesRUs when Becky was a baby at the regular price of $40. Mrs. Duggar has mentioned it several times, and I have seen her wearing it in their weekly show. Because it wraps all around the waist and clips on the side, it can be worn while walking around, making it easy to nurse one-handed while getting other stuff done around the house. It feels VERY comfortable because it offers really great back support, also. Another great feature is that the pillow has a slip cover that can be very easily removed for washing - definitely a must with a new baby and five siblings that want to constantly have their grubby little hands all over their newest little friend. After the store, we headed home because the girls needed to nap, and the heat was unbearable. We had thought about going to a nearby lake and go paddle boating, but it sounded like torture given the heat. Instead, when the sun finally started going down around 7, we left the house again to go to a nearby kiddie amusement park where my husband and the boys took a paddle boat ride while I bought some ride tickets and took the girls on the carousel. When the guys came back from the little lake, we spent another hour or so letting each of the kids go on a couple of rides, and snacked a bit on a dinner we had brought along. The temperature at that time was still 103 degrees, in spite of the fact that it was now completely dark. I found it almost unbearable. This pregnancy more than any before, the heat is really bothering me. The most I can take is 5 minutes at a time, which is just long enough to get from my van to a store, or from a store to the van and pack up what I bought. Right before the summer heat started, I had already been landlocked by my severe morning sickness, so I think I am now going on 5 months straight of being cooped up indoors - can you say "cabin fever"?? Sunday was church in the morning and evening, as usual. We had yet another record attendance in the morning service, which was exciting. It was also creating a space issue, as we have had consistently high (and increasing) numbers in all three weekly services ever since my husband started pastoring full-time a little over a month ago and scaling his fire alarm business back as much as possible. Him and several other men from the church started doing some work in our building on Monday to make the auditorium larger. For lunch, we had roast beef with mashed potatoes and gravy, steamed string beans, and tomato salad on the side. It was so good! Then the kids and I spent the rest of the afternoon resting and relaxing at home, while my husband was out soul-winning in the scorching heat. I cannot fathom how he can go for 5 or more hours every single day in this weather. Monday, we finally had to get down to the business of getting ready for company the next day. I also was in charge of making lunch and dinner for the men who were a the church building working, so that made for one busy day. My husband took the oldest two along to help with the project, while I took the three younger kids to the store to buy the food needed to feed hungry, hard-working men. I served a huge platter of sandwiches, as well as banana-cream pie. Since it was all made from scratch it took me all morning to get all that done. Then my husband informed me that a news station was coming to the house to do an interview at 1 pm. For me, it meant cleaning up the messy kitchen and floors in time for that. After they were all done and left, my husband again took two of the boys to work with him, and I was able to nap for a couple of hours. I spent the rest of the evening making dinner, and FINALLY cleaning up the guest room and guest bathroom in time for my mother-in-law's visit. Having raised four kids, she is really not at all the type who expects to arrive and find my house all clean and perfect - it's just something that would bother me if I didn't get it ready in time. Tuesday morning, my husband went back to work on the building project at church, while I spent the morning doing some more chores and then fixing lunch for all the men working at the church building (burritos, and peanut butter chocolate bars for dessert). Grandma arrived just in time for lunch. Later, she helped me make dinner for the men (egg rolls made from scratch), who finished the remodel at church in the late evening. The new, larger auditorium looks great, and added room for as many as 50 more people (although for now we spaced the chairs out more comfortably and only added about 20 more chairs). In the evening, after the kids were down for the night, my husband and I went out on a date to The Melting Pot for our 10-year anniversary with NO KIDS in tow, while my mother-in-law stayed home watching the sleeping kids. At least we thought they were sleeping. As we found out the next morning, Solomon had quietly slipped out of his room, roused Isaac, and they were sewing clothes for Isaac's stuffed teddy by the light of a flashlight. I had timed the dishwasher to run just as we were leaving, because it gets the girls to fall asleep immediately, and my mother-in-law was in the kitchen washing and slicing 8 lbs of strawberries to help me, so she did not immediately hear their little stunt on the other side of the house. When she did, she sent them back to bed and that was the end of that, and thankfully, the boys did not wake up the little girls in the process. Anyway, my husband and I had a great time. This was the first time in SIX years that we have been out by ourselves. It felt strange riding in a 5-passenger vehicle, just us and no kids. I can honestly say that I did not miss the kids for one second, or feel bad about not having brought them along. My husband had wanted to bring the kids, and we have been to that particular restaurant with them on several occasions, but it is not nearly as romantic and relaxing when you constantly have to make sure no little fingers are getting burnt on the hot stovetop on each table, and no eyes are being poked out with the pointy fondue skewers. Plus, it would have tripled the cost of the date! He is not around the littles 24/7 like I am, so to him bringing them along would not have been a big deal. I should clarify that we do not allow anyone to watch our kids ever, but Grandma is an exception because obviously she raised my husband and all his siblings, so it's almost like one of us parents is watching the kids. 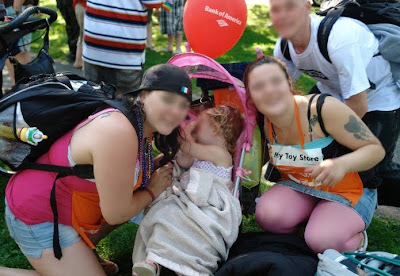 Plus, she is a Christian who believes like us and we don't have to worry about her trying to undermine our parenting. Best of all, she is not the type who would call just to tell us the baby is crying, which would obviously ruin the evening. Wednesday, the kids and I took Grandma to the science center, where we watched an undersea documentary at the IMAX. I thought it was okay, but the kids really loved it. Except for Miriam, who was scared of the 3D effect and kept asking me if we were really under water. My husband suggested that since his Mom was going to be at our house that night as well, we should go on another date because it's so rare that we get to do so. After church, he teaches a German class that keeps him until about 9:15 pm. I took the kids home after the service, and had them in bed by the time my husband got home an hour later. That night, I made sure to clarify that they were not to leave their beds under any circumstances. To help, I had let the kids go swimming for hours in the afternoon, which combined with being out later than usual for church that night had made them so tired that they actually were too tired to even think about getting out of bed. Today, I got to sleep in a little while Grandma fed the kids breakfast. Even so, I was so tired from having been out late two nights in a row that once I had made the dough to bake this week's bread, I lied down again in the middle of the morning for an hour, and then took another nap after lunch while the girls were also napping and Grandma was playing board games with the boys. We dropped her off at the airport in the afternoon for her to fly back home, and then the kids went swimming again at the house. After dinner, we are going to head to the library until bedtime. I plan on getting to bed early tonight myself. This gives you a little glimpse into our everyday life. It's fun, but very tiring. I am completely done organizing every room in the house, except for the laundry room (which is not too bad) and the school room (mostly done, except for one big book case). We are starting school August 30th or September 7th, still not quite decided on that. The kids have been doing some school work all summer long, but it was a very light schedule. This year, Solomon (8) is in 5th grade, Isaac (7) is in 3rd grade, John (5) is in 1st grade, and Miriam (3) is doing Pre-K. I'll write about my curriculum choices in another post. We definitely have very busy months ahead of us: all five of the kids are celebrating their birthdays between late September and mid-February. Add to that the birth of the new baby in December (now that makes 6 birthdays within 4 1/2 months), as well as Thanksgiving and Christmas, and you can imagine how burnt out I feel after the last birthday passes in February and the "party season" is over. It will be nice to have another Christmas baby, though. Hope you are all enjoying the end of summer with your families! For some time now (as in, over a year), I have been wanting to overhaul my blog. There are several reasons why. For one, I would like to move to my own domain rather than having to include ".blogspot" in my URL. Secondly, I want to divide my blog posts into several tabs that are each dedicated to their own topic, to make it easier to go back and read old posts on certain subjects (i.e. recipes, homeschooling, etc.). Along with this, I want to come up with a better way to catalog, archive, and access old posts. Also, a more personal design/header than the generic Blogger layout would be nice. Lastly, giving my blog a facelift is like moving all the furniture around in my house - it's just something I want to do to change things up. So, in my head, I know exactly what I want. There are only two problems between me and the blog of my dreams. Problem #1 - I don't know the first thing about web design. Anyhow, I know that I have many talented and capable readers. Yes, I know there are also a lot of dim-whit lurkers who hate me, my husband, my kids, and probably everyone I ever come into contact with. BUT I know that I have a lot of readers who enjoy my blog, so I thought that maybe one of them would be able and interested in helping me with this project. I think it would be for the general betterment of the blogosphere!! Maybe I'll even get invited to speak at BlogHer or the Today Show! Maybe a big Fortune 500 company will beg me to put their ad on my website! Oh, I forgot, they don't like people like me. If you are interested, or can point me in the right direction of who might be, please leave me a comment with your email address. Your comment will not be published. The two traffic-related misdemeanors that my husband was charged with following the abuse he suffered at the hands of DPS and Border Patrol were dismissed with prejudice back in December of 2009. The state prosecutor appealed this ruling, and his appeal was accepted, which led to the jury trial that took place in Yuma yesterday and today. The verdict of the jury was "Not Guilty" on both counts (obstructing a public highway; disobeying an officer's orders directing traffic). I believe that this ruling cannot be appealed by the prosecution. I don't have any more details at this time, but I am sure my husband will be posting more information soon. Thank you to all who prayed and showed their support! As it turns out, the dog never alerted to my husband's car, as per the dog handling expert that was called on the witness stand. The wording that he used was that the dog was "on the fringe" or probably about to alert, but never did. The supposed "dog alert" was the probable cause that border patrol was citing for sending my husband into secondary inspection. On my husband's video tape, at the very start, one of the agents can be heard while my husband was still rolling up to the stop, telling the agent doing the stop to send my husband to secondary inspection for having a video camera on. Then that agent approaches his car, telling him he needed to pull into secondary inspection because the dog had alerted. Obviously, they were just lying to justify their harassment of him. My husband repeatedly asked for the dog to be brought back out to prove that it would in fact alert, and that it wasn't just fabricated, but border patrol would not do so, even after being asked by DPS to bring the dog back to the vehicle. DPS (highway patrol) officer Jones, who was called on scene by border patrol (as they have no jurisdiction to hold people for no cause or force them into secondary inspection), never one time told my husband to pull over into secondary inspection, in spite of the fact that under oath he testified that he had told my husband twice. This was supposedly him "directing traffic", hence the charge of disobeying an officer's orders directing traffic. Thankfully, the whole hour-and-a-half incident was chronicled on my husband's video camera, so there was no denying the facts. In fact, before officer Jones ever even approached my husband, he had put stop strips (nail strips that would have slashed the tires) in front of my husband's car tires, as well as a "stop" sign, which would have made it impossible to obey such an order if it had been given (which it wasn't). Hence, the jury unanimously concluded my husband did not disobey an officer's orders directing traffic. The other charge was "obstructing a public highway". For this charge to apply, my husband would have had to knowingly cause a dangerous obstruction of the highway. For one, this was happening in the middle of the night, when there was very little traffic, with two inspection lanes open. My husband was only stopped in one of them, and what little traffic there was moved seamlessly through the other lane. Secondly, he was not the one causing the stop - they were forcing him to stop. He was willing to leave anytime they told him he could (leaving before they say you can is a felony). In fact, the whole border patrol checkpoint is THEM obstructing the freeway. If it were not for that, people would be traveling down that strip of freeway at 75 mph (the speed limit there), rather than slowing down to 5 mph and then having to stop completely. Again, the jury came to the verdict of "not guilty" based on the video evidence. My husband had been told he had been tasered for 18 seconds - first a deployment of 13 seconds, and another one for 5 seconds immediately following. As it turns out, there was a 3-4 second break between the two taser shocks, something my husband did not feel at all, because obviously his body was still feeling the pain during that time. That means that to him, it felt like he was being tasered for upward of 21 seconds, although it probably took his body several seconds to stop feeling the pain after the second deployment as well. In contrast, the DPS officer who deployed the taser, officer Mitchell, testified that he first deployed the taser for 5 seconds, and then a second time for a little longer, maybe about 10 seconds. That was the guy who bust out my husband's window and tased him with a smile on his face, as again caught on camera. I am so glad my husband had his camera on that night. He has been through these checkpoints hundreds of times while traveling for business, and without that solid evidence to prove his innocence, the jury might well have believed the lies (intentional or due to poor memory) of the involved agents. Having daughters is certainly one of the greatest blessings in life. Miriam is getting more beautiful and sweet by the day. Her hair is long enough now to do all kinds of neat things with it, but like me, her hair is very fine which makes it hard to keep it from slipping. Becky is almost 2 now. I can't believe how quickly she has grown up. She is such a cute little muffin, and makes the funniest expressions. I thought this was so precious. Solomon is such a wonderful big brother. He will never turn the girls down if they ask him to read to them. Becky is such a mischievous little ham. I think she looks more like my side of the family, and the way I did when I was young. Miriam takes a lot more after my husband's side of the family, so she looks a lot like his Mom and his younger sister. 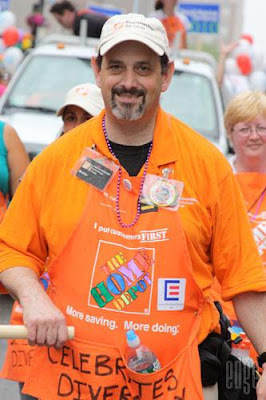 The Home Homo Depot fired an employee for refusing to remove a "One nation under God" patriotic button from his work apron. Trevor Keezor, a Christian, said he wore the button to support his country and his 27-year-old brother, who serves in the military in Iraq (story and video here). The American flag button Keezer wore in the Florida store since March 2008 says "One nation under God, indivisible." Earlier this month, he began bringing a Bible to read during his lunch break at the store in the rural town of Okeechobee, about 140 miles north of Miami. That's when he says The Home Homo Depot management told him he would have to remove the button. Dozens of homosexual employees participated in Home Homo Depot-sponsored gay pride parades and festivals. Many employees wore numerous buttons on their aprons promoting homosexuality. The Home Homo Depot defended them by saying homosexual employees will not be prohibited "in any way" when it comes to what they do and wear. 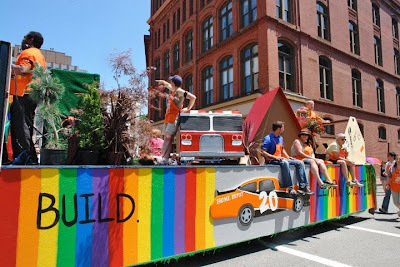 In June 2010, The Home Homo Depot set up a "Kids Workshop" as a vendor at the Southern Maine Pride Festival and parade. In 2009, The Home Homo Depot gave over $5,000 to be a major sponsor of the Nashville Gay Pride Festival. It also sponsored parades in Atlanta, Kansas City, Portland and San Diego. Read more. 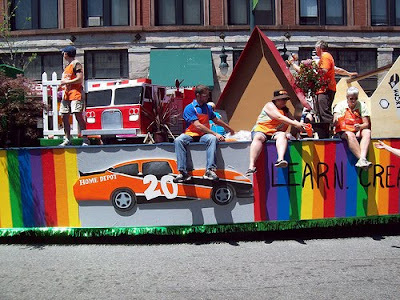 In 2008, The Home Homo Depot sponsored the Durham Pride Weekend with a kid's workshop and parade march. The events include "massages for couples" and "Drag Shows." As early as 2005, The Home Homo Depot placed a full-page ad in the Out & Equal homosexual workplace conference program guide. This Home Depot employee's apron sticker shows support for the nation's largest gay advocacy organization, The Human Rights Campaign. In addition, employees decorate their company aprons with other pro-homosexual messages. 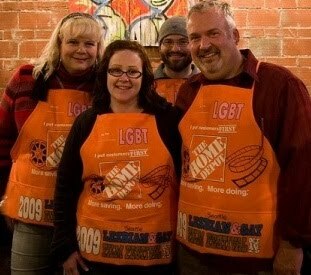 The picture here shows employees who decorated their aprons for a Lesbian and Gay Film Festival in Seattle, Washington. 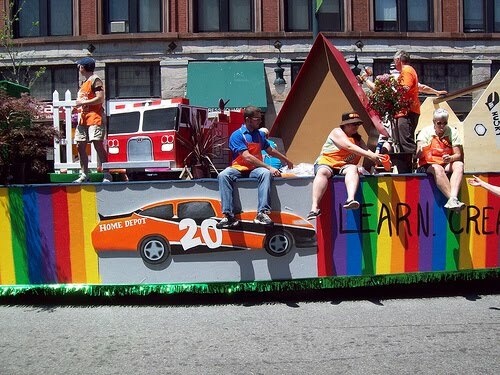 The Home Depot proudly displays its support for homosexuality in this parade float. The company has placed corporate-approved floats in multiple gay pride parades over the past few years. The Home Depot says it will continue to allow employees to participate in future pride parades and festivals "in any way" they choose. The flags in these Home Depot cups promote a gay website which proclaims itself as "the men's social group for men who have *** with men." 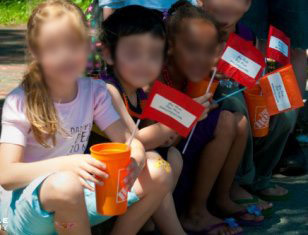 The cups were given to children by The Home Depot gay parade marchers, while homosexual activists followed up by introducing them to gay *** websites. The Home Depot has no problem aligning itself with gay activist groups who target children with a pro-homosexual message. Thank you, Homo Depot, for being so clear on this issue. I will be taking my business elsewhere. And some people think home births are scary? How to find a midwife?